The Finkes proudly repped UT while prowling the Serengeti. Pictured are Rodney, Jill, Ryan, and Grant Finke in Tanzania. Ryan is a senior in the iMPA program and Grant is a freshman in McCombs. 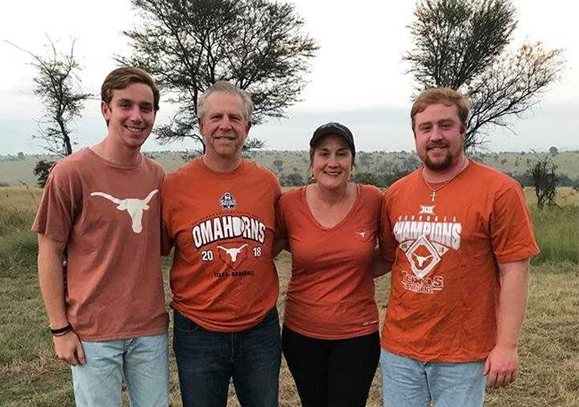 Jill is an adopted Longhorn and a very proud mom. Rodney, BBA ’88, Life Member, is the CFO for David E. Harvey Builders in Houston.